The directly relevant legislation on securities offerings is the Financial Instruments and Exchange Law (FIEL) and the Enforcement Order and related Cabinet Orders thereunder. The Financial Services Agency (FSA) is primarily responsible for the administration of these rules, and delegates its powers under Japanese law to each local finance bureau (LFB) of the Ministry of Finance for the registration of disclosure documents, including the Securities Registration Statement (SRS); and to the Securities and Exchange Surveillance Commission for inspections of securities companies, daily market surveillance and investigations of criminal offences. The FSA has issued guidelines concerning corporate disclosure and certain other matters for the interpretation of the FIEL and related regulations. Offerings (whether primary or secondary) of securities may not be made without filing an SRS with the competent LFB, unless exempted from the registration requirements under the FIEL. The FIEL contains two broad classifications of securities: clause I securities and clause II securities. Clause I securities include, among others, equity shares of companies, corporate bonds, government bonds and units of investment trusts or investment corporations. Clause II securities include, among others, beneficiary interests in trusts and collective investment schemes (as defined in the FIEL). Exemptions to registration requirements are different among these two classifications of securities. Offerings of certain securities such as equity securities of Japanese companies or foreign corporations may be made simultaneously with the listing of such equity securities on one or more stock exchanges in Japan, provided that the equity securities of foreign corporate issuers listed on a stock exchange outside Japan may be ‘publicly offered without listing’ in Japan, which is an arrangement known as POWL. The securities offered by POWL are subject to ongoing disclosure requirements even though they are not listed. An SRS shall contain, in a prescribed form, information concerning the securities offered (terms of securities and offering) and the issuer (including a description of its business, affiliated companies, officers and employees, assets, shareholdings, stated capital and financial statements) or, in the case of certain securities such as those relating to investment trusts and securitisation, the investment structure (including a description of the investment structure, investment policy and underlying assets, if any). Foreign corporate issuers are also required to incorporate in the SRS an outline of the legal system and certain other information of its home jurisdiction. Presentation of financial statements made in accordance with certain overseas generally accepted accounting principles (GAAP) may be recognised, in which case material differences from Japanese GAAP for such financial statements should be described in the SRS. Before the amendments to the relevant Cabinet order, which took effect on 1 October 2012, an SRS of a foreign corporate issuer must contain financial statements for the most recent five years, among which the most recent two years’ financial statements must be audited by a chartered accountant. However, after the amendments to the Cabinet order, an SRS of a foreign corporate issuer may contain three years’ financial statements (all of which must be audited by a Certified Public Accountant (CPA)) instead of the five years’ financial statements. The information required for the SRS is generally not different for debt and equity or primary and secondary offerings except for the information concerning the securities offered. An issuer that has complied with certain conditions including the continuous disclosure obligation in Japan for one year or more may utilise the shelf registration under the FIEL, in which case the issuer may incorporate its continuously disclosed documents in the SRS by reference. A registered prospectus with content that is substantially the same as the SRS must be delivered to investors at or prior to the sale of the securities registered pursuant to the SRS, except for certain limited cases. According to the usual practice, an issuer submits a draft SRS to the LFB for review or otherwise consults the LFB in advance (normally two to four weeks before the filing date). No fee is payable for registration of the SRS. A foreign issuer is required to appoint a Japanese resident as its attorney-in-fact to file an SRS. A certain procedure is required to prepare for filing for the first time through the Electric Disclosure for Investors’ Network (EDINET), which is an electronic filing system similar to EDGAR in the US. Once the SRS is filed and becomes available for public inspection, solicitation can commence, but no binding contract of purchase of securities can be made unless and until the registration under the SRS becomes effective and the prospectus corresponding to the SRS, including the amendment, has been delivered to the investors. The SRS becomes effective on the 16th calendar day from the date of filing, in principle, or on the eighth day in the case of shelf registration. If the SRS is amended during such waiting period, another waiting period shall start from the date of such amendment. However, such waiting period may be shortened to make the registration effective in accordance with the FIEL and relevant guidelines. Under the amendments to the disclosure guidelines issued by the FSA, which took effect on 27 August 2014, the waiting period for certain well-known seasoned issuers (that have complied with the continuous disclosure obligation in Japan for one year or more, and both market capitalisation and annual trading volume of which shares are ¥100 billion or more) was lifted, and the SRS shall become immediately effective upon the filing of the SRS with respect to the shares listed in Japan or rights offering for such listed shares on the condition that dilution of the total outstanding shares as a result of the issuance of such shares is 20 per cent or less. Publicity under certain circumstances could fall within pre-filing solicitation (gun-jumping) or a selling effort that triggers a violation of the FIEL. There was no safe-harbour rule applicable to publication that could be considered as solicitation of certain securities that would otherwise be subject to public offering rules. In general, any acts that attract the interest of investors on certain securities and promote them to purchase or acquire those securities may be considered to be ‘solicitation’, which is subject to public offering rules. However, under the amendments to the disclosure guidelines issued by the FSA, which took effect on 27 August 2014, the scope of publicity restrictions is clarified to some extent by giving several examples of acts that do not constitute ‘solicitation’. Under the amended guidelines, a pre-hearing from professional investors or principal shareholders with some conditions (such as a confidentiality agreement), distribution of corporate information at least one month before the filing of SRS without reference to the offering, periodic publication of corporate information in the ordinary course of business without reference to the offering, and certain other acts are prescribed as those examples that do not constitute solicitation. Underwriters are also, in principle, subject to the same restrictions on pre-filing solicitation and selling efforts. The Japan Securities Dealers Association (JSDA) has issued a guideline to its member securities companies as to the contents of a research report, establishment of an appropriate and reasonable internal review system and ensuring the independence of analysts. The amended disclosure guidelines, which took effect on 27 August 2014, also clarified an example where securities firms are allowed to issue research reports in the ordinary course of business on the condition that the securities firms have established a Chinese wall to isolate their researchers from any unpublished information regarding pre-filing solicitation or selling efforts of certain securities. There is no major difference between primary and secondary offerings under the public offering rules of the FIEL except that the secondary offering of securities that have been already subject to continuous disclosure requirements is exempted from the filing of the SRS, in which case the delivery of a prospectus and the filing of a securities notification is required if the secondary offering of equity securities is conducted by insiders of the issuer (including the issuer, its subsidiaries, their directors and officers, shareholders holding 10 per cent or more of total voting rights of the issuer (principal shareholders)), securities firms that acquired such securities from the insiders for resale or underwriters of such securities having a standby commitment. Holders of shares have no pre-emptive rights in the case of listed Japanese companies. The selling shareholder in a secondary public offering is jointly and severally liable with the issuer, directors, corporate auditors, CPA and underwriters in the case of a material misstatement or omission in the SRS or the prospectus prepared by the issuer, unless the selling shareholder proves that it did not know, with due care having been taken, about such material misstatement or omission. The legislation to introduce paperless securities, the Law Concerning Book-Entry Transfer of Corporate Debt Securities and Stocks, etc, came into force in January 2009. Shares of Japanese corporations listed on any securities exchange in Japan automatically became paperless at that time. At present, transfer of equity securities of Japanese listed corporations or certain corporate bonds are effectuated by the proceedings under the book-entry transfer system operated by Japan Securities Depository Center Inc. In the case of bonds, the issuer shall choose at the time of issuance whether the bonds will be treated under the book-entry transfer system. Settlement of the sale of securities subject to the book-entry transfer system in a public offering is achieved under the book-entry system and any investor who wishes to purchase the securities so offered must maintain a trading account to own the securities at account management institutions under the system, such as securities firms or banks. The securities offered will be recorded in the account of the investor on the designated delivery date after the investor has paid the purchase price through the relevant bank. offerees are limited to professional investors as designated under the FIEL (professional investors limited placement). Certain requirements to ensure the transfer restriction must also be met in order to avail the private placement exemption as described in the three points above. In addition, certain information prescribed by the FIEL and relevant orders thereunder as well as those required by the stock exchange in which the securities are or will be traded must be provided to the investors or publicly announced prior to the commencement of the offering. The professional investors limited placement was newly introduced by a recent amendment of the FIEL and relevant orders thereunder. This amendment aimed at creating a new securities market targeting professional investors. None of the exemptions above are available to an offering of equity securities issued by a reporting company when the ongoing reporting obligation is triggered in relation to the same type of (underlying) shares. In addition, the small number placement or QII limited placement is not available for the same type of securities offered by way of the professional investors limited placement. The number of offerees of the same kind of securities (as defined in a Cabinet order) offered within six months before the existing offering must be aggregated for the calculation of the number of offerees in a small number placement (integration rules). However, the number of QIIs is disregarded when certain selling restrictions are complied with in respect of such QIIs. An offering of options to subscribe or acquire shares of the issuing company only to directors, corporate auditors, officers and employees of the issuing company or its direct wholly owned subsidiaries may be made without filing an SRS when certain conditions are met, even if such offering does not constitute a private placement. The Enforcement Order and related Cabinet orders under the FIEL were amended on 6 April 2011, and the exemption described above is now expanded to an offering of options to directors, corporate auditors, officers and employees of a second-tier subsidiary (ie, an entity that is directly and wholly owned by a direct wholly owned subsidiary) of the issuer, and these options are excluded from the integration rules described above. Before the amendments to the FIEL, which took effect on 1 April 2010 (the 2010 FIEL amendment), a secondary offering constituted a private placement unless the number of offerees of securities with uniform terms (such as selling price and closing date) was 50 or more. Under the 2010 FIEL amendment, a private placement of clause I securities for a secondary offering must satisfy the requirements of the small number placement, QII limited placement or professional investors limited placement. The respective requirements for each category are mostly the same as those for a primary offering described above except that the integration rules in a small number placement shall apply to offerees for a period of one month and that the total number of holders of the securities may not exceed 1,000 as a result of the small number placement of foreign securities. (vi) sale of securities to the issuer or for resale to the issuer. Further, for a public offering, with a total value of less than ¥100 million (the value of the offering of the same type of securities made within one year before the existing offering must be aggregated for the calculation of such total value of the offering), no SRS needs to be filed. Instead, a simplified form of securities notification must be filed before the commencement of the offering (there is no waiting period for such procedure). the issuer’s information (in Japanese or English) is publicly announced pursuant to regulations of foreign exchange or applicable foreign law, as the case may be, and easily available through the internet or other methods. In the case of clause II securities, the primary or secondary offering of clause II securities constitutes a public offering when more than 50 per cent of the capital or assets of the collective investment schemes issuing such clause II securities will be invested in securities and the number of purchasers, not offerees, as a result of such offering will be 500 or more, whether they are QIIs or not. In the case of a private placement of securities, a document must be delivered to each investor at or prior to the time of sale stating certain items prescribed by the FIEL and relevant Cabinet orders. In general, such items include the disclaimer that no SRS has been filed for the placement, and the applicable transfer restriction, conditions or restriction of the rights as required under the FIEL on the relevant securities, unless the total amount of the placement (including private placements made within one month before the existing placement) is less than ¥100 million or disclosure as to the securities placed has already been made. This requirement is not applicable to a small number placement of shares. In respect of the professional investors limited placement, certain information about the securities as well as issuer information must be provided to the potential investors or publicly announced upon or prior to the commencement of the placement as described in question 7. Securities firms that conduct a foreign securities secondary offering described in question 7 must provide to the potential investors or publicly announce certain information about the securities and the issuer upon or prior to the commencement of the placement subject to certain exceptions. Such securities firms are continuously required to provide or publicly announce certain information upon request of their customers or occurrence of certain material facts subject to certain exceptions. There is no other specific requirement under the FIEL on the information to be provided to potential investors in connection with a private placement. There are transfer restrictions on the securities acquired in a private placement to the effect that the securities offered in a QII limited placement or a professional investors limited placement can only be transferred to QIIs or professional investors, as the case may be, and the securities offered in a small number placement must not be transferred to another, other than as a whole (unless the total number of bond certificates in the placement is less than 50 and cannot be further divided). Shares offered in a small number placement or clause II securities are not subject to any transfer restriction. Similar restrictions are applicable to private placements in a secondary offering under the 2010 FIEL amendment. There was no mechanism to enhance the liquidity of securities sold in a private placement. However, upon the recent amendment to the FIEL, which aimed to create securities exchanges solely for professional investors, securities placed in a professional investors limited placement can be traded on such exchanges. At present, the Tokyo Stock Exchange operates the Tokyo Pro Market for professional investors in equity securities and the Tokyo Pro-bond Market for professional investors in debt securities. There are no specific rules applied to offerings of securities outside Japan when the solicitation of the offer is made outside Japan, irrespective of the home jurisdiction of the issuer. Timely disclosure to the market or the filing of an extraordinary report required by the ongoing disclosure requirements in respect of such offering may be required if the issuer is a listed company or a reporting company in Japan, as the case may be. Exchangeable or convertible securities, warrants or depositary shares are, in general, treated as ‘securities’ under the FIEL and identical regulation on the offering of securities shall apply. For the offering of convertible securities or options to acquire or subscribe for shares, a small number placement is not available when the issuer is subject to an ongoing reporting obligation in relation to the underlying shares. Any additional payment required for the exercise of rights under the securities shall be aggregated for the calculation of the threshold offering value to be exempted from the SRS filing. In order to facilitate and promote the use of a rights offering as an alternative to a public offering of listed shares, the Cabinet order under the FIEL was amended with effect from 23 April 2010. Before the amendment, an SRS had to be filed, in principle, at least 26 calendar days before the record date for the rights offering. However, after the amendment, in the case of rights offering by way of an allotment of listed options to existing shareholders without contribution, the SRS becomes effective on the 16th calendar day from the date of filing, in principle, or on the eighth day with respect to shelf registration, as with a usual public offering. Further, under the amendments to the FIEL that took effect on 1 April 2012, where the options to be allotted to existing shareholders are or will be listed on a stock exchange, and certain information, including the fact that an SRS has been filed, is published in a newspaper, the issuer is not required to deliver prospectuses to prospective purchasers. ‘Firm commitment’ underwriting is commonly used, in which underwriters usually agree to jointly and severally purchase securities from the issuer for resale to the public at a specified public offering price. The lead manager organises and manages an underwriting syndicate, and executes with the issuer an underwriting agreement on behalf of the syndicate. A typical underwriting agreement requires the issuer to indemnify the underwriters for any liability they may incur under the FIEL because of the SRS or a prospectus containing material misstatements or omissions. A force majeure clause usually not only specifies force majeure events such as financial, political or economic crises, war or other national disasters, and governmental restrictions on the securities market in general, but also has a catch-all clause to cover any material adverse event on the offering and distribution of securities or dealings therein in the secondary market. Commission and fees are, in general, payable upon a successful closing in the usual form of the underwriting agreement. Greenshoes and overallotments are common. The amount of the greenshoes and overallotments must not exceed 15 per cent of the total number of shares to be offered in Japan under the regulations of the JSDA. An underwriter of securities is required to be registered under the FIEL. The FIEL classifies financial businesses into four categories, and an underwriter of securities is required to be registered for the first-type financial instruments business, which requires the most stringent financial, personnel or internal governance conditions as well as other matters. All financial institutions engaging in underwriting business are members of, and are subject to the rules of, the JSDA. the number of holders of securities was 1,000 or more (in the case of equity shares) or 500 or more (in the case of collective investment schemes) at the end of certain designated fiscal years (this is applicable only to certain securities including equity shares or collective investment schemes and can be avoided under certain conditions). Ongoing reporting obligations may be exempted upon approval by the LFB when the company goes into liquidation proceedings, suspends its business for a considerable period or, in relation to the second condition above, the number of holders of securities becomes less than 25 at the end of the immediately preceding fiscal year or the number of holders of shares (which include shares and similar securities of foreign issuers under the amendments to the relevant Cabinet order, which took effect on 26 August 2013) has been less than 300 at each end of the fiscal year for the past five years. An issuer of securities offered by way of the professional investors limited placement must periodically provide certain information regarding its business to the investors or publicly announce them. The reporting company must file an annual securities report with the LFB within three months (or six months in the case of foreign corporations) of the end of each fiscal year. The information to be included in the securities report is basically identical to the issuer information for the SRS. The reporting company must also file a semi-annual report for the initial six-month period within three months of the end of such period, or quarterly reports described below. Issuers of shares listed on any securities exchange in Japan (other than the market limited to professional investors), in general, are required to file quarterly reports within 45 days of the end of each quarterly fiscal period, except in certain limited cases. 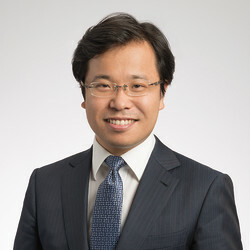 Such issuers must also file a certificate by representative directors and the chief financial officer, if any, confirming the lack of untrue statement in the annual or quarterly report and a report regarding the internal control system for financial reporting or other information to be disclosed together with the annual securities report. The reporting company must also file an extraordinary report without delay upon the occurrence of a material event, such as an overseas offering of its securities, a change of its parent company or major shareholders, the company’s decision to implement a merger, a share-for-share exchange or a corporate split, or a disaster or litigation having a material effect on the company. A foreign corporation, if it has satisfied certain conditions, is able to file a disclosure document in English disclosed in accordance with the regulations in a foreign jurisdiction instead of a securities report, when filed with a summary thereof and other supplementary documents in Japanese. This English language disclosure was not available for the purpose of the SRS, but, under the amendments to the FIEL that took effect on 1 April 2012, instead of filing an SRS in Japanese, a foreign corporation, if it has satisfied certain conditions, is able to file a disclosure document concerning the issuer in English disclosed in accordance with the regulations in a foreign jurisdiction, when filed with a summary thereof and other supplementary documents in Japanese as well as information concerning the securities (ie, the terms of securities and offering) in Japanese. The FIEL lists prohibited manipulative acts such as the sale of listed securities or trading derivatives in disguise and conspiracy with others to match orders, with an intent to mislead the market, or a series of manipulative transactions, the intentional dissemination of false or misleading statements, with an intent to induce market transactions. Those who violate these prohibitions owe civil liability to indemnify losses to the participant in the manipulated market, and may also be subject to criminal proceedings and forfeiture of the benefit from such acts, as well as an administrative surcharge. The FIEL recently broadened and strengthened the criminal sanction and administrative surcharges in relation to manipulative transactions. Stabilisation activities are only permitted for the purpose of the facilitation of a public offering and are only permitted in stock exchanges when conducted in accordance with the FIEL. The FIEL and the relevant orders prescribe the manner and conditions of permitted stabilisation activities. Stabilisation must be carried out by the underwriters of the relevant offering and other certain prescribed persons, the list of which is required to be submitted to the relevant securities exchanges. The fact that the stabilisation is contemplated must be stated in the relevant prospectus. The period for which the activities are permitted is, in general, after the date of pricing and up to the end of the subscription period. The price at which the stabilisation transaction can be carried out is also regulated by the FIEL and relevant ordinance. The issuer, directors, executive officers, corporate auditors, CPA, underwriters and selling shareholders (if any) are jointly and severally liable to any person who purchases securities when there is a material misstatement or omission in an SRS or registered prospectus. The issuer is strictly liable for material misstatements or omissions, but the others can avoid liability by proving that they did not know, after due care, of such misstatements or omissions. The FIEL shifts the burden of proof to the defendants for culpability as above and, in the case of the issuer, also for the amount of damages caused by a misstatement or omission with a provision presuming such amount. Similar liability as with a registered prospectus is imposed on such use of any offering materials other than the prospectus. In addition to civil liability, an issuer who filed an SRS with material misstatements or omissions may be subject to criminal proceedings (and, on conviction, imprisonment for up to 10 years or a fine of up to ¥10 million, or both, together with a fine of up to ¥700 million in the case of a company, under the recent amendment of the FIEL) and an administrative surcharge. Violations of other regulations under the FIEL, such as failing to file the SRS when required, selling securities within the waiting period or without delivering a registered prospectus, and regulation on fraudulent market transactions and stabilisation transactions, may also be subject to criminal proceedings and an administrative surcharge. The underwriters would also be subject to administrative sanctions, such as the suspension of the whole or part of their business, should they act in violation of securities regulations. The Tokyo Pro-Bond Market is a bond market for professional investors that was established in 2011 based on the ‘professional markets system’ adopted under the amendments to the FIEL in 2008, and is currently operated by the Tokyo Stock Exchange Inc (TSE). In 2014, in order to vitalise this new market in the interest of promoting the development of financial markets in Japan, Development Bank of Japan, a government-affiliated financial institution, announced its plan to invest in up to ¥100 billion of the bonds listed on the Tokyo Pro-Bond Market as a principal investor. Since then, issuance of bonds on the Tokyo Pro-Bond Market has become popular for foreign issuers, in particular financial institutions. Furthermore, there was an amendment to the relevant Cabinet order in September 2015 by which transfer restriction (ie, prohibition of transfer to investors other than professional investors) can be easily embedded in the conditions of the bonds. Prior to the amendment, two types of transfer restriction agreements were required for Pro-Bonds: between the issuer and investor (underwriter may act as agent on behalf of each investor) and between the underwriter and investor. Under the amendment, the transfer restriction may be embedded in the conditions of the bonds as long as the investors agree (even orally) to comply with the restriction after the explanation of the restriction by underwriters. In the Tokyo Pro-Bond Market, all the documentation and disclosure can be prepared in English and, therefore, would not entail any cost of translation into Japanese, as compared to a public offering in Japan (which usually needs translations). In most cases, the issuer can list its existing medium-term note (MTN) programme (such as Euro MTN) directly on the TSE without any substantive modifications. A prospectus or offering circular of the MTN and annual report in its home market would be sufficient as programme information disclosed in the Pro-Bond Market. At the time of pricing, ‘specified securities information’, which is mostly equivalent to the ‘final terms’ in the MTN, will be prepared in the course of the drawdown process of the programme. For this purpose, the pricing supplement of the existing MTN would usually be sufficient. After the issuance, ‘issuer filing information’ must be filed once a year within three months of the fiscal year end (or longer when so permitted in the home country). For this purpose, an annual report in its home country would suffice. The issuer is expected to renew the programme annually because it expires after a year. An amendment to, or replacement of, the MTN programme can be ‘voluntarily’ filed as an amendment to programme information. In addition, timely disclosure (ie, press release) in the Tokyo Pro-Bond Market is required only when a prescribed material event occurs such as the issuer’s bankruptcy, liquidation, default of bonds, change of corporate name or any other equivalent material event.